Eighty-seven percent of buyers use online resources in searching for a home, according to a 2016 survey released by the real estate web site Zillow®. Most commonly, they use desktop computers (77 percent), followed by mobile websites (56 percent) and mobile apps (48 percent). Mobile device use is most prevalent among buyers under the age of 50, the survey showed – including 66 percent of millennial buyers and 62 percent of Generation X buyers. 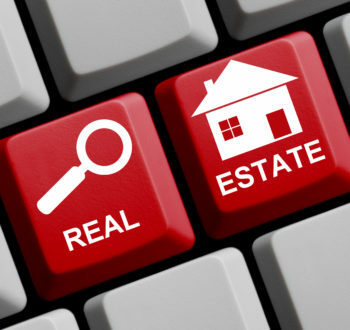 There are a variety of real estate listing web sites out there, and some of them require you to create an account. The information you provide could enable a real estate agent to contact you, but it also could put your information at risk for identity theft. Spammers can set up fake web sites aimed at capturing your data; they may look like legitimate bank or property listing sites, but can capture financial information or infect your computer, according to the mortgage resource HSH.com. — Update your security software. That includes antivirus, anti-phishing and anti-spyware programs, along with a firewall on every internet-connected device. Enable automatic updates of your security software. — Use the latest version of your browser and operating system. Outdated browsers may not be designed to combat the latest viruses. — Use a secure connection. Never use public Wi-Fi to access financial information, and don’t enter data on a site unless its URL begins with “https” rather than “http,” meaning it’s a secure connection. — Check a site’s legitimacy. Some security software will alert you if a URL contains malicious links. If using a mortgage calculator, use a well-known website. — Search for reviews and scams. If you think a site is legitimate, make sure it’s reputable too. Google the site reviews and any scams that may be associated with it. — Use strong passwords. If you’re registering on a real estate site, combine upper- and lowercase letters along with numbers and special characters for your passwords. Don’t use the same password for multiple sites, and don’t share passwords. — Remember that some sites do not require you to register. Summer is a popular time for home buying, but it’s also National Internet Safety Month. Taking time to help better safeguard your personal information can shield you and your family from identity theft and online scams as you search for a new home.